With summer being around the horizon, I know that a lot of people will likely be visiting coastal areas for their vacation which also means for boat-goers it means that it’s a time to take that boat out to water to enjoy the beauty of nature. Some of these boat-goers will likely be wanting to see some marine life in their natural habitat and from my experience of seeing marine life out in the wild, it’s truly magical to see humpbacks breaching, or manatees coming right up to boat out of curiosity, or the sight of a pod of wild dolphins swimming passed your boat. However, some people love wildlife so much that they often go a little too far, and that does include feeding wild dolphins sadly. 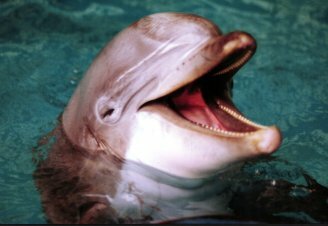 In the United States alone, it’s illegal to feed wild dolphins in US waters under the Marine Mammal Protection Act, a law that bans any disturbance of any wild marine mammal in American territorial waters. It also defines harassment as any act of unlawful pursuit, torment, or annoyance that may cause potential harm marine mammals in the wild by causing disruption of behavioral patterns such as feeding, migration, breeding, nursing, breathing, and sheltering. Feeding wild dolphins can be very harmful to them on every level because their behavior will change from being hunters to becoming beggars once humans start feeding them. Studies that have been done on beggar dolphins for decades have shown that wild dolphin pods that receive handouts from humans were more likely to be unwilling to hunt for their own food because they have been used to receiving handouts. To make matters worse, it has also been known to cause a huge high in juvenile mortality rates for the young animals were never properly taught by their mothers how to hunt, which has made them at risk of predation by sharks and killer whales. In addition, reports from NOAA have shown that beggar dolphins have been known to become very aggressive towards people who had no handouts left for them while there’s evidence of them trying to steal fish off of fishing lines after they have learned to receive food from people. Remember, feeding wild dolphins is such a huge offense that it’s a $20,000 fine or a year in jail and if you see someone trying to feed a wild dolphin, please report it to NOAA officals right away at 1-800-853-1964. 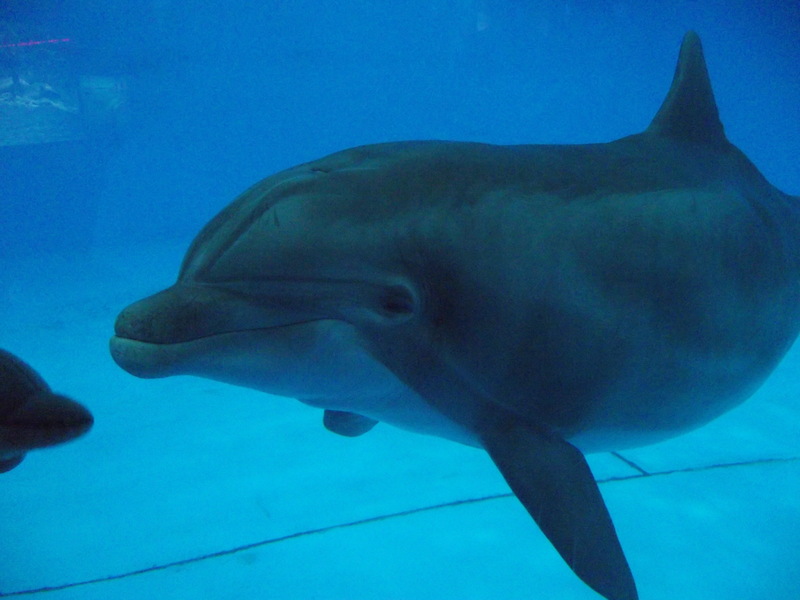 Nami, is a nearly forty-year-old Atlantic bottlenose dolphin who lives at the National Aquarium in Baltimore. This facility is one of fourty-four marine life facilities in the United States and Mainland Europe that does NOT take any dolphins out of drive fisheries. In March 2010, the documentary The Cove won an Oscar for “Best Documentary”. This film focuses on the slaughter of dolphins off the coast of Taiji, Japan. While the killing of dolphins in Japan is pretty much real, the reasons behind it is completely deceptive. This is because, the filmmakers of the movie claim that most marine life facilities get their dolphins from Japan when truthfully, they do NOT! Below is a two part commentary that focuses on the inaccuracy statements made by dolphin extremist Ric O’Barry film producer Fisher Stevens, and director, Louie Psihoyos. 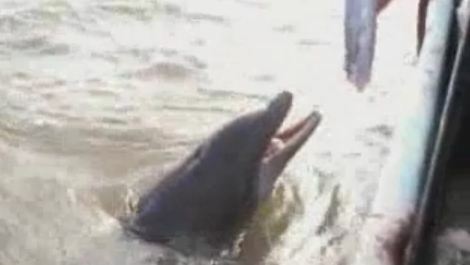 Since the making of these videos, it has been alleged by activist groups that 15 dolphins were imported into Turkey from Japan, and several more into two former Soviet ruled countries in eastern Europe. Sea Shepherd’s “Cove Guardians” have cited that NOAA (National Oceanic and Atmospheric Administration) has granted SeaWorld San Diego a permit to import a young male pilot whale named Argo. Keep in mind that Argo stranded as a neonate and alone in Moriya Seashore of Katsuura City, Japan on January 10th, 2004. He was NOT collected from any drive fishery or otherwise the permit would have been denied. 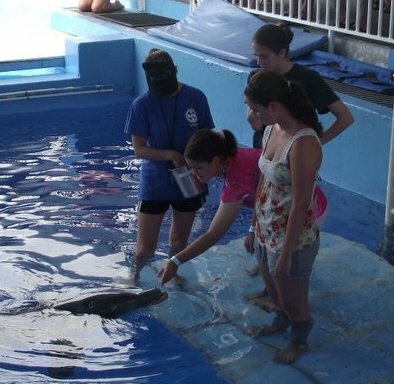 In 2010, Ocean World, a dolphin facility in the Dominican Republic, filed a lawsuit against Ric O’Barry after being defamed during a CNN interview. As of 2011 only one drive-fishery animal resides in the US. It’s a female false killer whale named Kina. She was originally imported by the US Marine Mammal Navy Program from Ocean Park in Hong Kong in 1987. 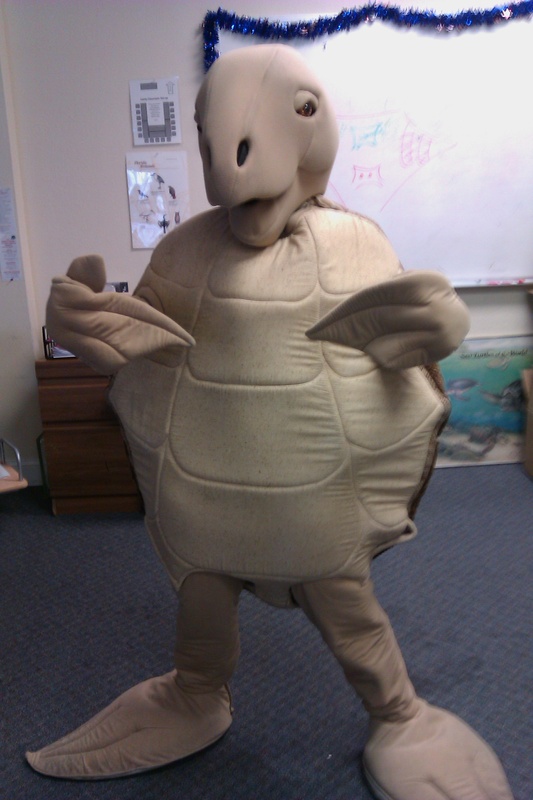 She was later sent to the Hawaiian Institute of Marine Biology in 2000. An attempt by one US aquarium to acquire false killer whales from a 1993 drive fishery was blocked by the US National Marine Fisheries as they considered such operations to be inhumane. This eventually led to an effective ban on imports of drive fishery animals into the US. However, there are several facts that remain…………. Asia and the Middle East are the two active markets for Japanese dolphins. However, the main markets are in Japan, China, Korea, and Taiwan. The Japanese drive fisheries pre-date aquariums by almost 350 years. It began in the year 1606 for the purposes of pest control and human consumption. However, archaeological records show that the drive fisheries go back as early as 8-9,000 years ago during prehistoric times. Even if eastern marine life facilities stop acquiring dolphins from drive fisheries, Japanese fishermen would still kill dolphins for the purposes of both pest-control and human consumption. Less than 8% of all dolphins caught in drive fisheries are sold to aquariums. The rest are killed in the hands of Japanese fishermen. Ric O’Barry was not the first person to expose Japan’s drive fishery practices. It was first revealed by National Geographic in 1979 and three years later by filmmaker and dolphin conservation advocate Hardy Jones and the Cousteau family in a 1982 TV documentary. No wild dolphin has been collected from the wild for a US facility since 1989 . It’s been three decades sine any dolphin has been imported from a drive fishery to a facility in Western Europe. 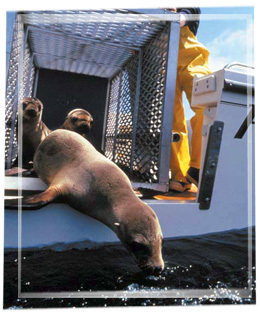 The reason why many western marine life facilities have not obtain collection permits since the 1980’s is due to the success of captive breeding programs. 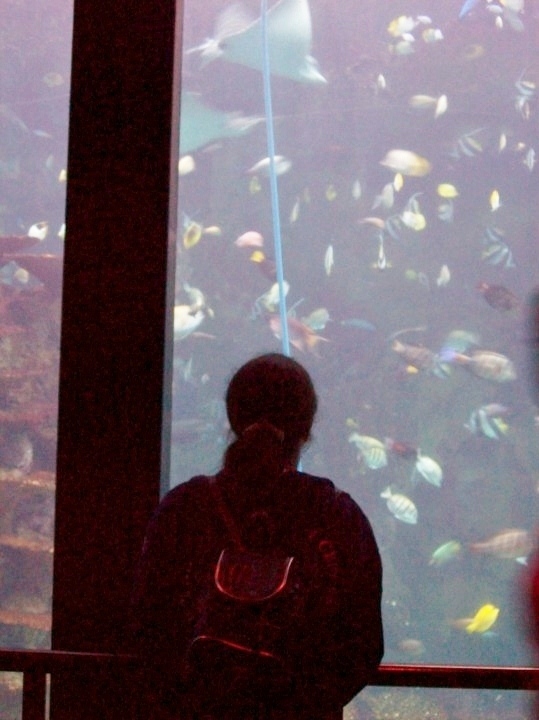 Both the Alliance for Marine Mammal Parks and Aquariums (AMMPA) and the Association for Zoos and Aquariums (AZA) prohibit any of their accredited facilities from taking any animal from drive fisheries. Accredited marine zoological facilities in the western hemisphere from Alaska to Argentina do not support, fund, nor acquire dolphins from the Japanese drive fisheries. Much like the evolution of marine wildlife conservation awareness in the United States, only education and a changing values towards cetaceans, including dolphins, will bring an end to a three-century-old inhumane cultural hunt. Releasing Captive Cetaceans Back Into The Wild: A Potential Death Sentence! In 1991, the UK-based Animal Rights group Born Free Foundation, and it’s two group partners, the Switzerland-based Bellerive Foundation , and the US-based World Society for Animal Protection, began running a “return-to-the-wild” campaign called “Into the Blue”. This campaign focused on rehabilitating long-term captive dolphins for release into the wild. 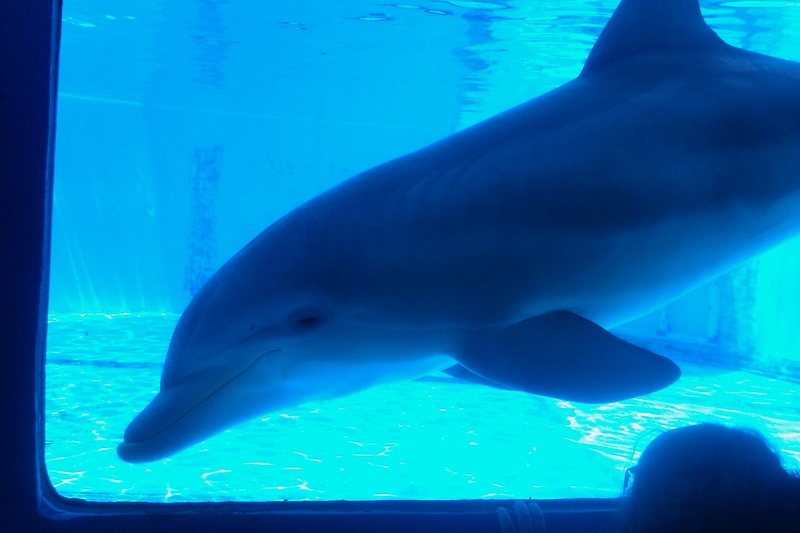 The campaign involved the use of three bottlenose dolphins from British aquariums. One dolphin named Rocky, was collected from the Florida panhandle in 1971. The other dolphin named Missie, was collected off the coast of Texas in 1969. And the last dolphin, named Silver, was collected off the coast of Taiwan in 1978. The three animals were moved to a sea-pen in the Turks and Caicos in February and March of 1991. There, their “rehabilitation” began. Over a six month period, the animals were simply “taught” how to eat live fish. On September 10th, 1991, all three dolphins were released after being freeze-branded. Although the three animals were seen the day after their release, Missie and Rocky would never again be seen project staff members. Since then, all sightings have been made by fishermen and tourists who were unfamiliar with the dolphins. Silver was sighted by project staff members only a week after being released. About less than two weeks after being released, Pacific bottlenose dolphin Silver, was sighted by project staff members. However, when he was sighted, he had already lost some weight and had a series of health problems, including an infection on his rostrum. Silver was also given both sixty pounds of food, and antibiotics by the project staff in the wild. At the same time, he had also began to associate with a “wild-friendly” dolphin named Jojo. Still, Silver was only seen from September 16th, to September 29th of 1991 and has not been sighted since then. Meanwhile, a photographic competition to produce photographic evidence of the animals continuing to survive. Therefore, the fate of the three UK aquarium dolphins Rocky, Missie and Silver remain unknown. Even the release of "Free Willy" star Keiko was a complete failure....Why? Because no one knew what Icelandic pod did Keiko come from...Therefore, Keiko had no pod to begin with. The release of Free Willy star Keiko is well documented. In the late 1990’s three marine animal rights groups lobbied and attempted to release Keiko back into the wild. This release project coast $20 million in tax-free donations and produced several TV documentaries. Although it’s been documented that Keiko swam all the way from Iceland to Norway, the scientific reports made by both Greenland and US officials concluded that the release of Keiko was NOT successful. 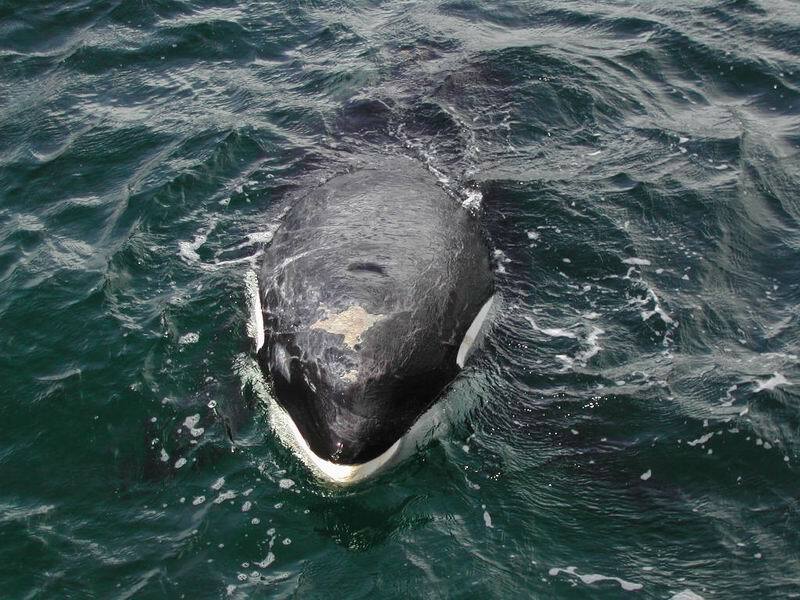 About only a few weeks after being on his own, Keiko began to seek out human companionship and started to follow boats around and looking for handouts. Keiko died podless from pneumonia in 2003. Dolphin at the now closed Atlantis Marine Park in Western Australia in the 1980's. 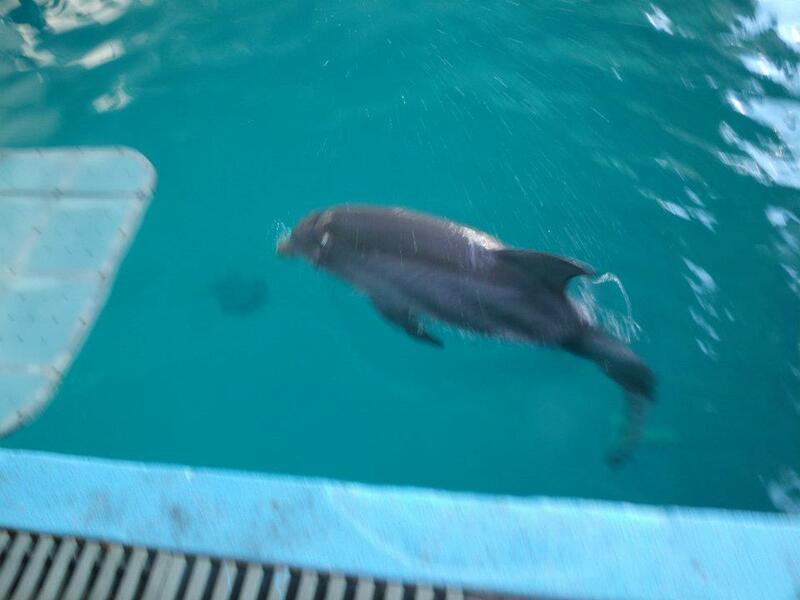 In 1990, seven Indo-Pacific bottlenose dolphins were released from Atlantis Marine Park in Western Australia after being in captivity for a decade due to lack of public funding. Three of the seven animals were born at the facility and were already accustomed to human care. Prior to the release, some effort was made to “train” the dolphins for their release in March 1991. However, three dolphins were recaptured after the release due to rapid and severe weight loss. It was believed that the animals did not know how to hunt despite, being taught to eat live fish. They were also seen begging for food from boats. Just to make matters worst, a young calf was presumed dead and it is not known what happened to the two other dolphins. The video you are about to watch focuses on an illegal release conducted by a former Miami Seaquarium employee named Ric O Barry and several members of his organization, Dolphin Project Inc., a group that claims to release captive dolphins back into the wild. * Can they be returned to their former range? : This is the aspect of how important to the genetics of the population and species. * How old were they when they were first collected from the wild or were they born in captivity? In other words, are they capable of surviving in the wild? Did they learn how to hunt, communicate with their species, migrate, evade predators, ect.? * How accustomed are they to humans? Will that cause problems either putting them at dangerous risk or the safety of the people? * Do they have the proper immune system for wild survival? Wild cetaceans have immunities to disease that captive specimens don’t and as I mentioned earlier in this topic, captive marine mammals could also expose a wild stock to diseases and viruses that has never been exposed by the population. In the US, NOAA fisheries is the agency that issues permits for “return to the wild” projects. They require two simply stated but crucial contingencies. The marine mammals must not be a threat to wild populations, and it must be currently healthy at the time of release and likely to survive. Another requirement under this permit is that all marine mammals released into the wild must also provide a monitoring system to track the animal and plan to rescue it if it is not adapting well to life in it’s wild environment. they were released as a natural functional social unit. Male pairs are common in bottlenose dolphins. the two dolphins were fairly young. They were approximately 6-7 years old at the time of their capture. This means that they had extensive experience in fending for themselves in the wild prior to their capture. At they time of their release, they were 8-9 years old (sub-adults). they were released back into their native waters, close to their capture sites. they were acclimatised in a sea pen near the release site prior to the release. It is safe to say that the two only acceptions for releasing animals back into the wild are rescued animals that are releasable and to re-populate endangered species. 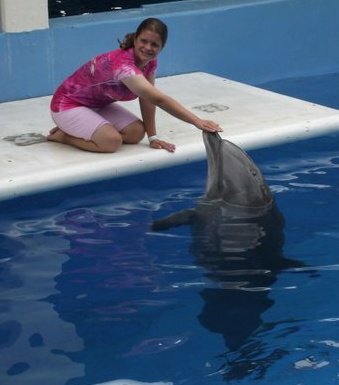 The author (me) with Panama, an elderly bottlenose dolphin in her forties. So About a week before I returned home to New Hampshire, my sister Janis and I did a dolphin encounter program that Clearwater Marine Aquarium offers as one of it’s many dolphin interaction programs that are available to the public. The encounter usually begins with a behind the scenes tour, where you can see how the aquarium works and some of the sights and sounds of the upcoming movie “Dolphin Tale”. But because Janis and I were working at the aquarium for the summer and we simply knew everything about the facility, so it was decided by trainer Abby Stone and her team that our session would last an additional few minutes. So, at about 3:30 PM, Abby led us to the Winter Zone and that was when our encounter began. 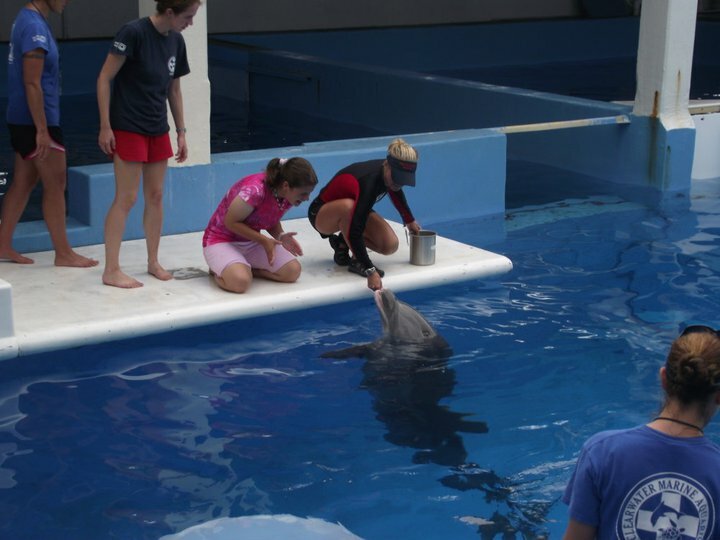 Here is me feeding a fish to Winter the Dolphin with my sister Janis and hero Abby at my side. When I got my feet into the watery platform, man, it was cold but at the same time, it felt pretty much relaxing too at the same time. The temperature of the water was about 77 degrees. It was just the perfect temperature for such a hot day as it was. Back to the encounter, Abby introduced us to celebrity dolphin Winter. My sister and I got to feed her fish, touch her flipper, and give her a few signals. However, While we got all touchy with Winter, we also got to learn a little bit about dolphin anatomy like the dorsal fin, and pectoral fins. Winter was a bit vocal too. But while, we focused on Winter, her adopted mother Panama come right up to us like it was her turn or something. Abby on the other hand, instructed us to not look at Panama and focus on interacting with Winter for the rest of the first session. It's now Panama's turn to interact with us. After our session with Winter was over, it was now time to play with Panama. But first, we started off her session with three photo sessions with Panama before the encounter began. Some of the behaviors we gave to Panama included “singing” to us, splashing and waving at us. It was like Panama was putting on a show of her own. It was such a great day to play with Winter and Panama while getting to know some great trainers who spend their time educating everyone about dolphins and other marine life while working the animals at the same time. So, on the last Thursday of my internship, CMA’s education interns held an evening boat party that took you out to go snorkeling in the harbor. 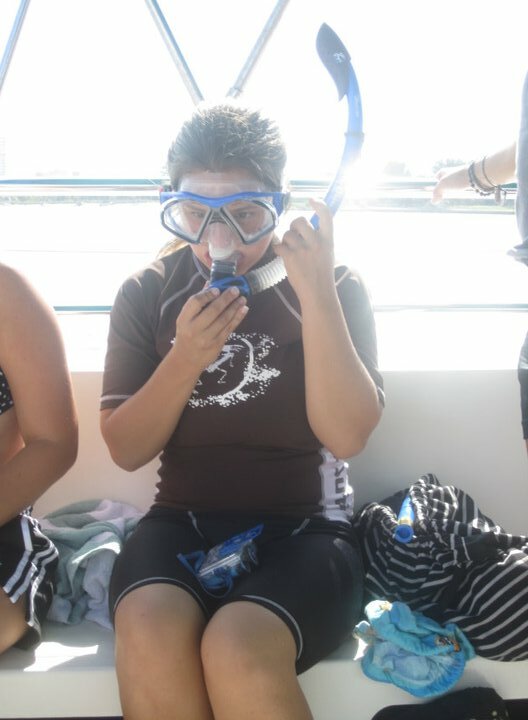 When we got to a nearby sand bar, I just jumped off the boat and I began my snorkeling experience. I swan through a bed full of sand dollars, conchs, and crabs. I would find sand dollars that were the size of my hand, and show it off to everyone before putting back in the water because they were all alive. Soon after, I found a blue crab that was resting inside an old pipe. At first, I thought there was nothing but sand inside the pipe, but after taking a good peek inside the small pipe, I found the crab in there and allowed everyone to see him for a while. Don’t worry, we did not bring him back with us, instead, we let him be by returning him to the same spot where we found him. After our little encounter with the blue crab and more snorkeling, I ended up finding a large lighting whelk. Once I picked it up, I tell everyone “hey look what I have on me…it’s a whelk, please come take a look. Soon, everyone took a look it before it began to move around my hands for a few minutes before fellow intern Amy sighted a loggerhead turtle who was 100 yards away from us. When Amy broke the news about the turtle sighting, I put the whelk back into the water so, that I could try to get a good glimpse of the turtle myself. Eventually, she surfaced for us a few times before she swam off to sea. It was not long before it was time to head back to the aquarium because it was about to storm in Clearwater. Overall, it was such a great evening and good way to end a great summer. I am so going to miss seeing Janis playing Tina the turtle. My last day was the following Friday and I got invited to intern at the aquarium again next year. Don’t worry, This blog will have new entries year around. So stay tuned.